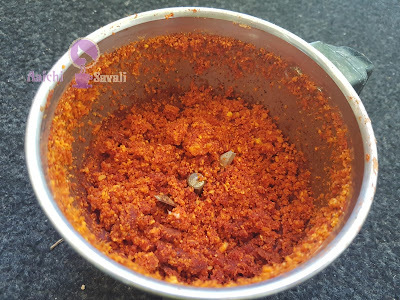 Dry coconut chutney or सुक्या खोबऱ्याची चटणी is commonly made in Maharashtra, North Karnataka. As it is a dry chutney, it has a long standing life. 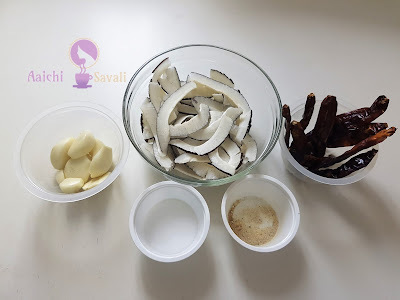 Here is my way to make this easy, tasty and quick dry coconut chutney or सुक्या खोबऱ्याची चटणी. Coconut is one of the food that can be categories as a “superfood.” It has lots of health benefits including weight loss, better digestion and brain function, healthy skin and hair, and much more. Dry roast coconut, red chillies on pan at low to medium flame for a minute respectively. 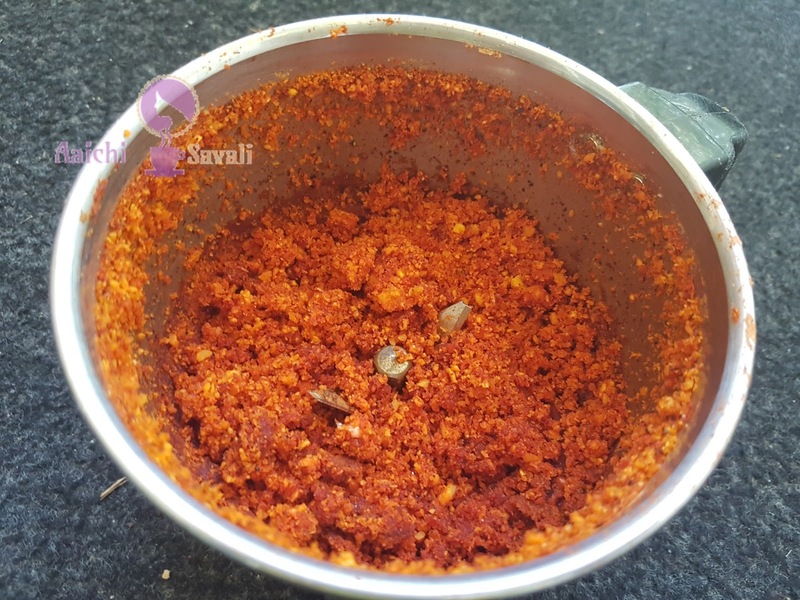 Place roasted chillies, asafoetida and salt into grinder and grind it till get fine paste. Now, add roasted coconut and grind it for 1 minutes. Finally, add garlic into mixture and grind for about 1 minutes. coconut chutney is ready to serve. Serve it with jowar or bajra bhakri, chapati or it goes good with vadapav too. Enjoy!​!! Complete recipe contains - 190 calories, along with carbohydrates - 16.3 g, fats - 14.4 g, proteins - 3.55 g.
Coconut has many medicinal properties - Coconut contains a lot of medium chain triglycerides, which are metabolized differently and can have therapeutic effects on several brain disorders.